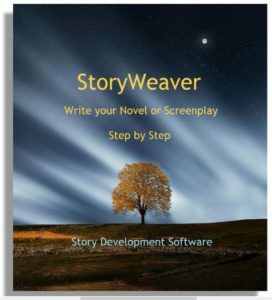 A Dramatica Writer’s DreamKit user recently contacted me to say that she had encountered a bug in the software. First, when she created a character and assigned it a role as a particular archetype (such as Reason), and then reassigned that role to another character and saved the file, when she re-oped the file the character was labeled as “complex” rather than as the archetype that had been chosen. Secondly, when giving up on that software problem and trying to identify the character’s archetypal role in the character’s name, she ran of of space and the software cut off her text. Finally, the reports showing information about the characters listed here characters all as complex, even though she chose them as archetypes. Dramatica Pro and DreamKit are run by the same story engine. DreamKit just presents a portion of the story points that Pro does. When it comes to characters, DreamKit only shows motivations. Pro has three other areas of character elements: methodologies, purposes, and motivations. Archetypes have 8 elements each, two from each of the four areas. In DreamKit, you only see the two motivations. So, if you choose to make a character an archetype the story engine automatically assigns the other six elements for that archetype so the engine will be properly balanced. But, if you choose to make another character that archetype instead, the story engine “reads” your choice as just the two elements that you gave it in DreamKit and does not move the other six in the engine already. That results in the character appearing to be “complex” because it only has two elements since the other six are still assigned to the first character, behind the scenes in the story engine where you can’t see. Now, that is a real bug (not a theory bug, but a programming mistake). In fact, if you choose to take the role of an archetype away from a character and give it to another character, it should reassign all eight elements, not just the two that you see. Interestingly, DreamKit has been out for about 15 years, and no one ever reported that mistake before in all those years. (Truth is, it doesn’t matter if you call a character an archetype or complex – the real important information is what elements does that character have). Still, the software should be consistent in whether it labels a character an archetype or complex. But, to be perfectly honest, you can’t really create archetypes in DreamKit (speaking from a theory point of view) because, by definition, archetypes must have a full complement of all eight elements and you simply can’t build that in DreamKit – intentionally! 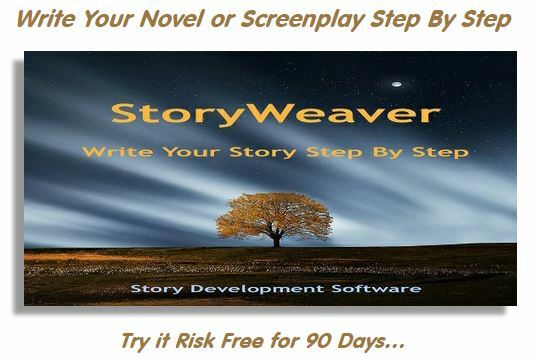 Many stories create characters with only motivations – the simplest way to build characters. That’s why DreamKit only offers those, which makes it a properly balanced product for simpler stories. We still call them “archetypes” in DreamKit because that is the way writers casually think of those characters, even though they don’t have all four levels of elements, just the motivations. So, nothing is wrong with the story engine or the theory, the DreamKit software just handles the labels incorrectly when it comes to reassigning the label of archetype from one character to another. The elements in the character are correct, nonetheless. On another issue, as I wrote before, Dramatica (both Pro and DreamKit) are designed to allow only one character at a time to be an archetype. This is because, according to Dramatica theory, there should never be two characters trying to represent the same point of view or characteristic at the same time – it confuses the readers or audience. But, in very, very rare stories, the role of character as an archetypes may be “handed off” to another character instead, such as when one character dies and another takes his place and continues the same dramatic impact. It is kind of like when a soldier carries a flag into battle, is killed, and another soldier picks up the flag and carries it. The role of flag carries has shifted from one soldier to another – the role is the same, the position on the field of battle continues to advance, but it is a different person carrying that standard. So, if your story is one of the very rare ones that requires having one archetype drop out of the story and another one take its place, there is no “direct” way to show that in DreamKit (or Dramatica) but there is an indirect way, as I described in my earlier email. You simply give the archetype the names of both characters so YOU know that each will play that role at some point in the story. For example, if John is the first Reason character and later it is played by Sam instead, you could name the Reason character John-Sam. As for the reports you provided, they appear to be working properly – they just reflect that same bug about how the software labels characters as archetypes when they really should only have the two elements you assigned in DreamKit. I hope this helps put it all in perspective. Remember – nothing is wrong with the character elements, which is what it is all about. The only problem is in whether or not the software labels a character consistently as an archetype or as complex. In DreamKit, there really are no archetypes, as that requires 8 elements, not just 2. But, since most writer’s want to deal with archetypes, we keep the labeling rules loose and allow them to choose characters as archetypes, even if they only have two of those elements. The problem is just a bug in how the software handles that pseudo label, but does not change the sound dramatic composition of each character. So, as you indicated, until such time as the next version comes out, the easiest thing is just to note the archetype name in the character name and if that makes it too because you want to include two or more characters as “hand-off” characters in the same name-space, just use nicknames, as the whole purpose is to identify the characters to you as the author so you can work with them. This entry was posted in Writer's DreamKit. Bookmark the permalink.